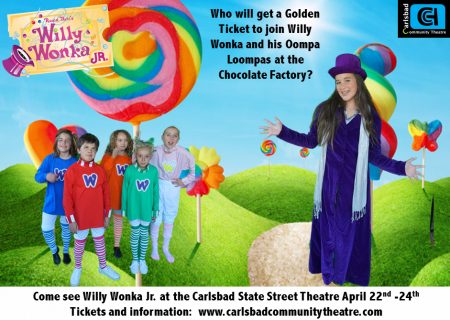 Carlsbad Community Theatre is proud to present Willy Wonka Jr. at the State Street Theatre April 22-24, 2016. We have a group of 38 talented North County kids ages 7-14. This is going to be a really fun show. Details and information can be found on our website. For all the details please click the link. 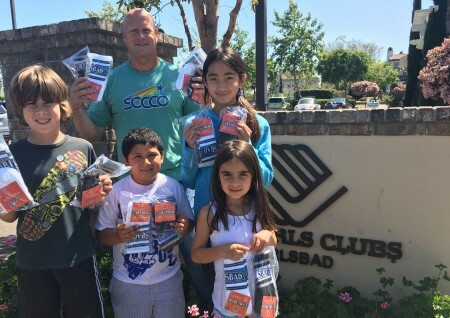 With more than 30 years of experience in the apparel industry, Carlsbad local John Rich is hyper-aware of what is being worn in his community. And although there were plenty of Carlsbad t-shirts, hats and bags, he was hard pressed to find a pair of Carlsbad socks. For the rest of the story, please follow the jump. The Village Music Walk is back. On Saturday, June 18th for the 4th annual Carlsbad Music Festival hits the streets of Carlsbad Village. This free community event features dozens of musicians celebrating music by the sea in the Village of Carlsbad. If you’d like to play a part in the music walk organizers are still looking for adventurous musicians of all styles to join the 2016 lineup. Click here for all the details, and remember – the deadline to apply is next Friday, April 15th. 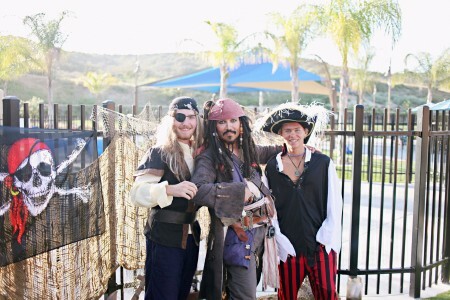 Enjoy pirate themed pool activities and games during the City of Carlsbad’s annual Pirate Plunge event at Alga Norte Aquatic Center at 6565 Alicante Road, in Carlsbad, California on Saturday, April 23, 2016 from 5 to 9 PM. Arrrgghhh! Come dressed in a swimsuit and enjoy the fun, swashbuckling activities which include diving for treasure, cannonball crush, hook it, ship raider race and more. . . Dry activities will include a treasure hunt, pirate ship slide, a tropical bounce house and photo opportunities. For additional details (including cost $10 a person, under three free) follow the jump. 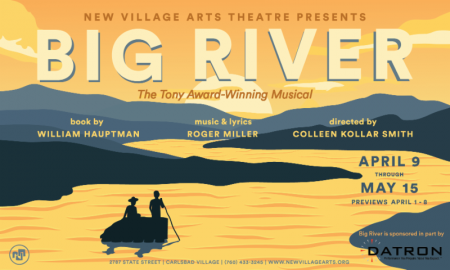 Pay-what-you-can previews of the New Village Arts Theatre’s production of the Tony Award-Winning Musical Big River begin tonight, April 1, 2016 at 8 PM. That means, you can pay whatever you want and see live theatre right in the heart of the Village of Carlsbad. You will not be disappointed. Previews continue (including a Sunday, April 3 matinee at 2 PM) through Friday, April 8, 2016. For more info, please click the link. A San Diego State University alumnus, Ralph brought his love of fish tacos to the United States after a college trip to Baja California, Mexico. 33 years after opening the first Rubio’s restaurant – a walk-up fish taco stand in Mission Bay – Rubio’s Coastal Grill has established a passionate fan base throughout the Southwestern United States and has largely been credited for starting the fish taco phenomenon in America. Cited by The Washington Post and Los Angeles Times as the country’s top fish taco expert, Rubio’s Coastal Grill has sold more than 200 million Original Fish Tacos®. In honor of Ralph Rubio Day, Rubios is offering their original fish taco for $1.75 at all San Diego County Rubio’s Coastal Grill locations (including the location at the Carlsbad Premium Outlets) all day on April 5, 2016. If you’re hungry, you might want to stop by. For the official word from Rubio’s please follow the jump.